If you think that having violet eyes can never look natural, you should rethink that opinion. 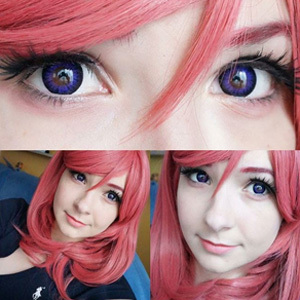 Neo Cosmo N023 Violet Colour Ring contact lenses provide you with a beautiful eye colour change which still looks very natural and subtle. The black ring surrounding the iris in Neo Cosmo N023 Violet Colour Ring contact lenses makes the eyes look bigger and sexier. A wide range of powers that these lenses are available in makes them perfect for people needing eye correction.